The Razer Phone was previously brought into Malaysia – unofficially, of course – just last week by a local seller, and it appears another retailer is doing the same now. Mobile2Go’s Lazada store, G Store, is currently listing the Razer Phone for pre-order on the e-commerce site – it’s priced pretty high too. Previously, Impulse Gaming was selling the Razer Phone for RM3,199, and it quickly sold out. G Store, on the other hand, is now listing the device at RM3,599 on Lazada – that’s RM400 more. Not surprisingly, warranty for the phone is covered by G Store itself. 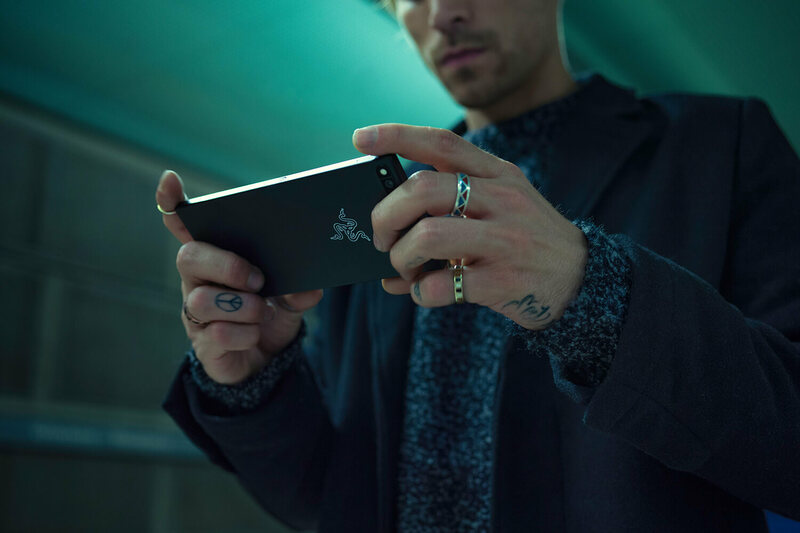 For a smartphone that’s targeted at gamers, the Razer Phone packs very respectable hardware. These include a 5.7-inch 1440p 16:9 IGZO display with a high 120Hz refresh rate, a Qualcomm Snapdragon 835 chipset paired with a whopping 8GB of RAM, 64GB of internal storage, and a large 4,000mAh battery. Rounding out the Razer Phone’s specifications are a 12MP + 12MP dual-camera system, an 8MP front-facing shooter, as well as Android 7.1 Nougat out of the box. 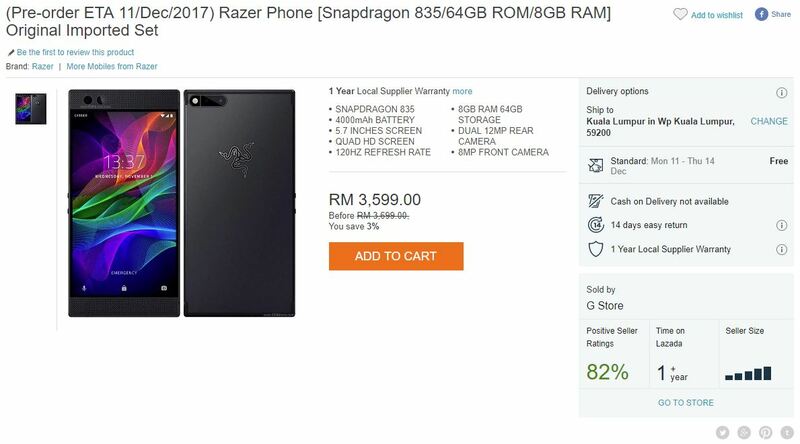 RM3,599 is a pretty high price to pay for the Razer Phone, especially considering the fact that it only retails at SG$1,068 (about RM3,230) in Singapore. Nonetheless, if you’re interested to get the device anyway, you can pre-order it now on G Store in Lazada.